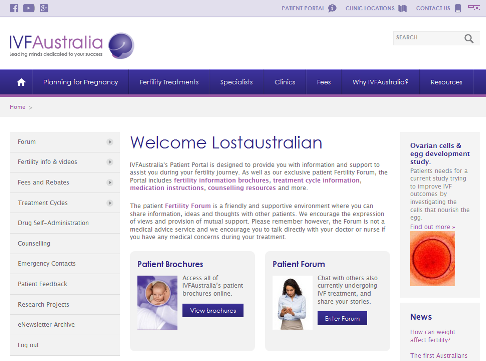 As Hunter IVF is part of IVFAustralia and its network of Australia’s most experienced and successful fertility clinics, we are very pleased to offer our patients access to the Patient Portal featuring a private forum. This is a password protected online community for patients of Hunter IVF & IVFAustralia to share ideas and knowledge with each other, and provides you with all the resources you need throughout your fertility journey. The forum is a place for patients to engage in open, informative and supportive discussion around fertility issues. We will then verify your patient information and let you know as soon as your access has been approved.